India has long been a hub for traditional cane and bamboo art. Since ancient times, bamboo and cane were used by the tribals as a means for expressing their creativity and artistic streak as well as to make useful items of daily use. What is fascinating to note is that this traditional, age-old art continues to be popular even today, thanks to the sustained efforts of development centres, Government initiatives, and non-profit organizations. Over the years, bamboo and cane products have continued to be in great demand, especially Cane Furniture. The concept of cottage industries in India has transformed the lives of unemployed, uneducated, local artisans who are gifted in several traditional art forms of India. Besides providing a dependable source of livelihood to the locals, these industries have managed to promote some of India’s oldest art forms. Indian handicrafts, especially products made from cane and bamboo are manufactured at low costs in several states of India, especially those which are naturally blessed with these natural resources. Bamboo is a very tall, fast growing perennial grass. The different parts of the bamboo are used for different purposes. 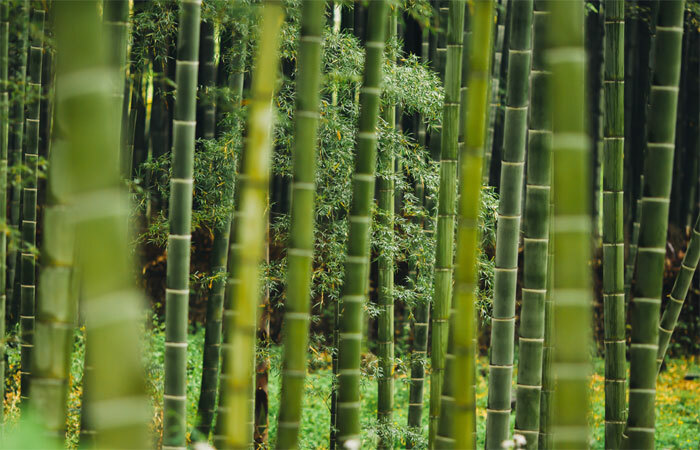 For example, the shoot of the bamboo is used in cooking while the fibres are used to create textile. Cane refers to the hollow stem of a tall grass. The state of Assam is a treasure trove of cane & bamboo natural resources, thanks to its abundant cane and bamboo forests. Spread across the length and breadth of Assam, the artisans have for long been involved in the manufacture of beautiful cane and bamboo products. Assam has over the years, seen considerable socio-economic growth and sustained development due to its dedicated, skilled artisans and its beautiful natural resources. Some of the most popular cane items from Assam include – Cane Floor Mats, Bamboo Tea Trays, Bamboo Head Gears, Bamboo Sieve, Musical Instruments, Bamboo Baskets, Hukkas, etc. The state of Kerala is a popular tourist destination. It has a rich tradition of manufacturing beautifully painted mats and checkered black and white square boxes made of bamboo. While these items serve as excellent gifts, they also energize the handicraft market of this region. Some of the most popular bamboo and cane items from Kerala include – Bamboo Boxes, Mats, etc. The state of Arunachal Pradesh has a rich tradition of bamboo and cane crafts. Usually, the men are involved in this art. Perhaps the best known products from here are the vibrant hats which are decorated with feathers etc. Some of the most popular bamboo and cane items from Arunachal Pradesh include – Cane Belts, Baskets, Mats, Ornaments, Head Gear, etc. The state of West Bengal is another state of India, well known for its Bamboo and Cane products. Thousands of artisans in Bengal are involved in the production of bamboo and cane mats as well as eye catching and elegant screens & panels. What is truly interesting to note is the interdependence and the culture of sharing raw materials between states. The Mutra Cane is derived from Cooch in Bihar and is used for the craft work in Bengal. Within Tamil Nadu, Chennai, Thanjavur districts are popular for their Cane products. Some of the most popular bamboo and cane items from Tamil Nadu include – Baskets, Bowls, Trays, Furniture and Kora Grass Mats, etc. Manipur in the North East of India is the second largest producer of bamboo and bamboo products, the first being Tripura. It is popular for its traditional cane and bamboo craft. Some of the districts like Jiribam, Imphal and Tamenglong are especially well known for their abundant bamboo resources. Some of the most popular bamboo and cane items from Manipur include – a range of items, meant for decoration and daily use. Ashtrays, Umbrellas, Ornaments, Sofa Sets, Fishing Baskets, Storage Baskets, Mats, and sofa sets, etc are very popular.